We are reputed manufacturers of low-pressure vaporizers that are used for small engine, three-wheeler (both two stroke & 4-stroke engine). Quality tested in line with the international standards, these low pressure vaporizers are designed for countries where replaceable cylinders are used. 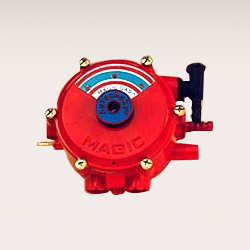 The pressure regulator with a maximum output pressure of 0.15 Kg/sq. cm. on the cylinder is used in the primary stage. We have in store for our clients a quality range of high-pressure vaporizer for three wheelers. 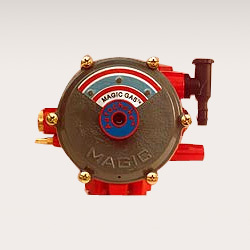 Fabricated using finest grades of raw material, this high-pressure vaporizer can be safely used with LPG cylinders, without the need for a separate pressure regulator. Our clients can avail these high-pressure vaporizers at industry leading prices.